Even if you don’t know who Zak Noyle is, there’s a good chance you’ve seen some of his photographs. They’ve been published by ESPN, Transworld Sport, National Geographic and the BBC, not to mention in surf publications including The Surfer’s Journal and Surfer. At just 31 years old, Zak’s career has already included a meteoric ascension to one of the most hallowed positions in surf photography: Zak is now the Senior Staff Photographer at Surfer and he regularly takes on assignments to travel and shoot with some of the best surfers in the world. We caught up with Zak to learn more about his work and what drives him. He talks very fast - almost breathlessly, sounding like the CEO of the hot new startup that is basically his life, excited to share his story and his plans. Zak's journey into photography was catalyzed from a young age by his father who was a commercial photographer and who passed on some of his wisdom and a few tools of the trade. Zak began shooting photos in his single digit years and by high school he had had his water photography published in magazines like Sports Illustrated and Transworld Sport, where he took a full time job after graduating. 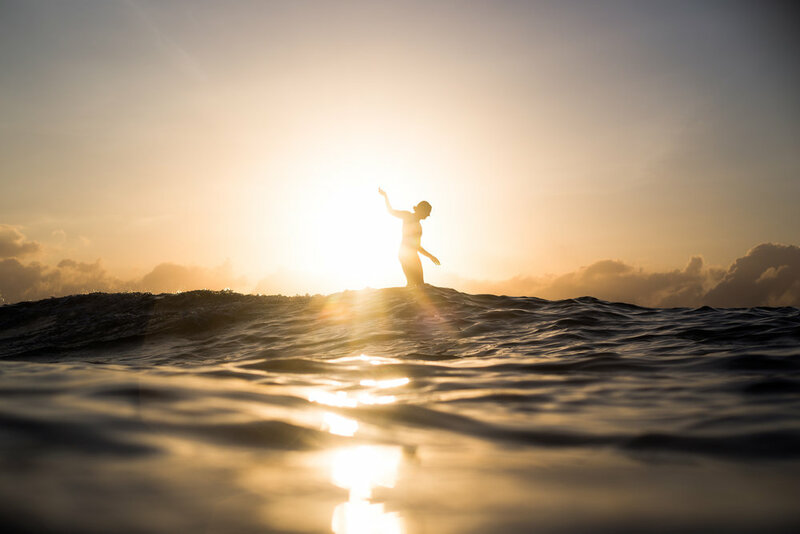 At the age of 25 he started working at Surfer and now combines his day job with running his own photography business and a seemingly endless string of brand collaborations with the likes of water housing company SPL, surf company RVCA and swim fin company DaFin. Becoming one of the world’s top water photographers means becoming one of the world’s top swimmers by pre-requisite. The playing field for taking groundbreaking surf photographs is most likely in the path of a 20 foot breaking wave, half a mile off shore and bobbing a few feet above a sharp, potholed reef. Although the list of his achievements is frighteningly long already, Zak pulled off something of a career highlight at last winter’s Eddie Aikau Invitational in O’ahu. Pummelled by 30 ft waves closing out Waimea bay, Zak swam and shot the historic contest for 8 hours straight, capturing through his actions and photographs a truly memorable moment in surf history. The Eddie Aikau ran on February 25th, 2016 in waves that were so big the safety of the contest itself was called into question. That’s pretty rare from the organizers: ‘The Eddie’ demands a minimum of 20ft waves before it will even run, honoring the fearless lifeguard and surfer in whose memory it is named. Aside from the endurance required for this feat, Zak also truly understands the media demands of the modern surf audience. When The Eddie runs, O’ahu basically shuts down for the day with crowds of thousands gathering on the beach to watch. For those who can’t be there, internet livestreams, social media and TV broadcasts let people tune in from around the world. We asked Zak how he had prepared for the day. “I had water and snacks packed and ready to go on the jet ski, but I actually didn’t eat or drink anything on the day. I hydrated heavily the day before with electrolytes and water. I packed extra batteries and a bought an extra phone so I could transfer the sim card if my iPhone died,” Zak told us. We asked if Zak took any major beatings out in the water that day. “I was nauseous with adrenaline and I did get completely worked. I got worked to the point where I had my hand on my rip-cord, but I didn’t want to inflate it, get dragged in and miss a wave. I’d waited seven years since the last Eddie Aikau Contest ran and I wasn’t going to miss a single moment out there. I wanted to be in the water, and just enjoy it. I have a photo of when all the skis came charging in on that closeout set and I just dived as deep as I could under the rolling whitewater. I had to dive 25 feet to get under that. It was pitch black and I couldn’t tell which way was up. That was a 2 wave set. If it had been a 5 or 6 wave set, I would be washed in on the rocks. For sure,” Zak laughed. We were thrilled to meet Zak and see him participating in the RVCA artists program at the Unsound Pro event in Long Beach. His level of stoke, energy and enthusiasm seem boundless and he talks as if he’s only just getting started. Watch this space! James Katsipis, or "Catspiss" only to his closest friends, has a photographic sensibility rather more delicate than his nickname. He is truly dedicated to the craft of photography and has made a name for himself as one of eastern Long Island's leading lensmen. We asked him to share three of his favorite shots from the many years he has spent documenting oceanside life on Long Island and would you know it, he sent us a bonus shot we just couldn't keep to ourselves. Over to James for the back stories. "The winter brings deep blue and shimmering silver tones to our line ups. This is my take on an early morning surf check at out local break, Ditch Plains." "Historic winter storm Juno hit the East Coast on January 27th 2015. There was a total travel ban across New York, but we knew the waves were going to be pumping. A few brave souls ignored the ban and fled to the ocean to be greeted by perfect, overhead, barreling waves. It's all about dedication to the love of our sport." 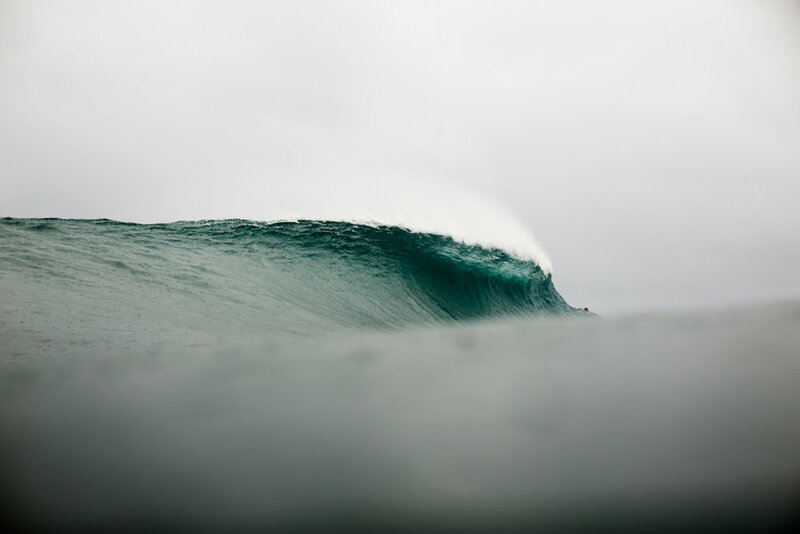 "Every surfer knows this perspective: the paddle out, waiting to take the first duck dive and get their first head-freeze to determine how cold the water actually is that day. This was one of the coldest days swimming I can remember. My hands were so cold they actually felt like they were on fire. I was shaking my hands underwater to try to get the blood to circulate in my fingers. The only way I could tell I was hitting the shutter was to listen for the sound of the camera firing." "It has been said that the Montauk Lighthouse is our Eiffel Tower. Nothing is better than swimming out off the coast of Montauk and seeing it from a perspective you just can't get from land." Many thanks to James for digging through the archives to share these beautiful shots. Head on over to his site to see more of his work. Following on from Part I earlier this week, here's the second installment of four photos from Long Island Photographer Matt Clark. To see more of Matt's work, check out his website. To keep up with our latest news and stories, hit us up on Instagram. 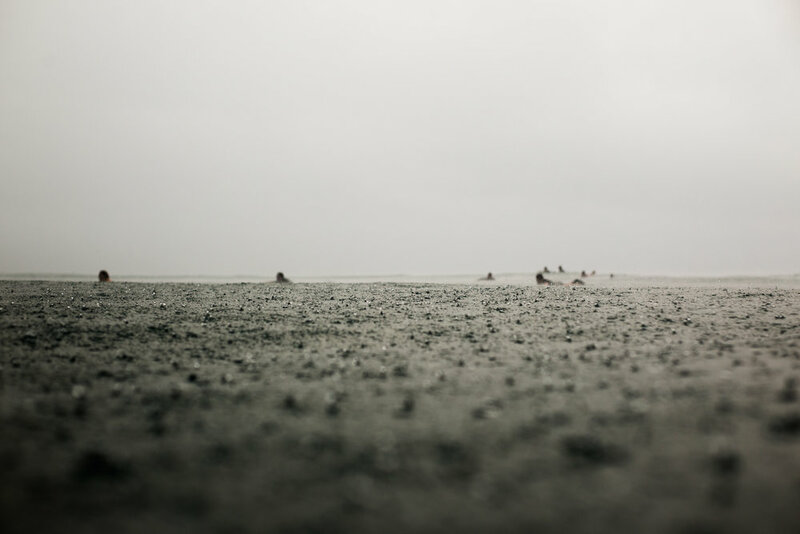 This week we're excited to share four photographs by Long Island photographer Matt Clark, and the story behind each one. Through Matt's tireless dedication he has gradually carved out a niche for himself on the water's edge. When we interviewed him for the book, we sat in his lounge and scrolled through his library of photos, entranced by a colorful, hypnotic display of the beauty, power and variety of the ocean. We love his work and we hope you will too. The day Matt scouted the shot, there were no waves to speak of, but he took note of the angle, framing and the lens he’d need when the moment came. Rather than climbing the decrepit, rusting ladder in the rain, Matt convinced a janitor in the hotel lobby to take him to the roof. He lied to the janitor, pretending he’d left a lens cap on the roof the day before. Stay tuned for Part II later this week. Check out a few more of Matt's photos we'll be featuring on Instagram this week.